Nature of Position: The above positions are purely temporary and time bound for a period up to 31.03.2014. Age: Not exceeding 28 years as on 01.01.2014. Registration for Walk-in-Interview: Between 9.00 AM to 10.00 AM. Candidates fulfilling above eligibility criteria may appear for walk-in interview at 10.00 Hrs., at the above mentioned address along with application in the prescribed format along with photograph, xerox copies of testimonial with original certificates. For complete details and application format please log on to: http:// www.cmet.gov.in. 1st Class B.Tech. / B.E. in the area of Mechanical / Electrical / Electronics / Chemical /Metallurgy / Pulp & Paper or 1st Class M.Sc. in Chemistry. Essential Qualification: 1st Class B.Tech. / B.E. in the area of Mechanical / Electrical / Electronics / Chemical /Metallurgy / Pulp & Paper or 1st Class M.Sc. in Chemistry. Experience: 10 years post qualification experience as an Executive in the relevant area related to metal working (including precious metals) & testing/ metal technology/ ferrous and non ferrous steel manufacturing/ chemical technology, out of which minimum 2 years in one grade below i.e. in IDA pay-scale of Rs.24900-50500/- at E-3 Level or in CDA pay-scale of Rs. 15600-39100/- with grade pay of Rs. 6600/- or at equivalent level of position in a reputed private sector company having turnover of at least Rs.75/- crores per annum. Experience: 7 year post qualification experience as an Executive in the relevant area relating to hardware/software part of printing/ printing technology/ paper technology/ ink technology/chemical technology, out of which minimum 2 years in one grade below i.e. in IDA pay-scale of Rs. 20600-46500/- at E-2 level or in CDA pay-scale of Rs.15600-39100/- with grade pay of Rs. 5400/- or at equivalent level of position in a reputed private sector company having turnover of at least Rs.50/- crores. 1. The application should be submitted in the Proforma given in the advertisement, typewritten only handwritten applications are not accepted). 2. The outer cover should be subscribed as “APPLICATION FOR THE POST OF “_______________________________________”. by the candidates belonging to SC/ST/Physically challenged category. 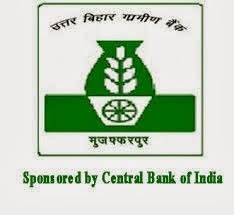  Doctorate degree in Agronomy/Agriculture Extension/Soil Science/Plant Breeding/Crop Improvement/ Plant Protection or M. Tech in Agriculture Engineering with minimum 15 years of field experience in Crop Production/Crop Improvement/Natural Resource Management/Mechanisation or 5 years experience in the rank of Additional Commissioner in Government of India.  The person should have the proven ability to motivate and lead the team to achieve the objective of the programme.  Ability to monitor the field programmes, analyse data and organize meetings and workshop at regional and national level and prepare projects, writing reports/seminar notes/articles.  Proficiency in computers like MS-Word, excel, power point, internet etc.  Graduate/Masters in any field of science/arts/commerce.  Proficiency in Computers is essential. at least 5 years in rank of Deputy Secretary and above. or any field of Agriculture or related fields. The interested candidates may apply by hand/post to Manager (Human Resources), National Seeds Corporation Limited, Beej Bhavan, Pusa Complex, New Delhi-110012 by 6th January, 2014. Qualified CA/ICWA/1st Class full-time MBA with Finance elective from recognized niversity/Management Institute. Essential Qualification: 1st Class two years full-time Master’s Degree in PM&IR/MSW/MBA with HR elective from recognized University/Management Institute. Experience: 10 years post-qualification experience as an Executive in Human Resources domain which includes multiple Human Resources Functions. In addition to HR functions, the person should be conversant in General Administration, Legal Cases, RTI Matters, Security & CSR Activities, out of which minimum 2 years in one grade below i.e. in IDA pay-scale of Rs. 24900-50500/- at E-3 Level or in CDA pay-scale of Rs. 15600-39100/- with grade pay of Rs. 6600/- or at equivalent level of position in a reputed private sector company having turnover of at least Rs.75/- crores. Essential Qualification: Qualified CA/ICWA/1st Class full-time MBA with Finance elective from recognized University/Management Institute. NATIONAL PROJECTS CONSTRUCTION CORPORATION LTD.
Educational Qualification : CA / ICWA/ MBA-Fin. 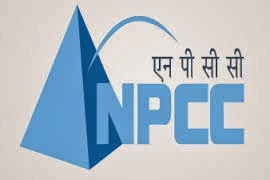 Application Fee : All applications must accompany Non-refundable Application Fees of Rs.500/-for General & OBC candidates in the form of Demand Draft/ Banker Cheque only with the validity of three months drawn in favour of “NPCC Ltd” payable at Faridabad (Haryana). In case of SC/ST candidates, application fee will be Rs.125/- only. Payment of application fee in the form of cheque is not acceptable & liable to be rejected. Please mention your name, address & post applied for on the reverse of D.D. Mechanical Engineering : Three years Diploma or Licentiate with not less than 60% Average marks in the last two years in Mechanical Engineering recognized bythe GOI, Ministry of HRD. Physics : B.Sc(Physics) should be with Physics as Major and Chemistry andMathematics as Ancillary (or) B.Sc(Physics, Chemistry, Maths) withminimum 60% Average marks in all the Three Years(all subjects). Plant Operator : (i) HSC(10+2) or equivalent with Physics, Chemistry and Mathssubjects with not less than 50% marks individually. Station, Kalpakkam 603 102 by sending a request form(attached herewith). Application will be issued in the A4 size envelope (as OMR application should not be folded) on free of cost in the name of candidate by making proper registration. Hence the application cannot be used other than the registered candidate. 􀂾 Application form is in the OMR Sheet, do not fold or stapler with enclosures. 􀂾 Use only HB pencil for shading the space inside the small open boxes of the form. General Surgeon, Physician, Gynaecologist, Opthalmologist, Paediatrician : MS/MD or equivalent, MBBS + relevant PG Diploma including DRM or equivalent. GDMO : MBBS + relevant PG Diploma including DRM or equivalent. Eligible candidate has to apply online on the website (www.npcilcareers.co.in) which will be available from 12/12/2013. Online registration process will start from 12/12/2013 at 10:00 hrs and will end on 31/12/2013 at 16:00 hrs. Qualification : Master Degree in Librarian, Physical Education, Bachelor Degree in Science, 10+2, 10th, ITI, Medical Lab Technician. 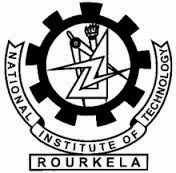 Step-1: Register for creating User ID and Password for online application in Institute website (http://nitrkl.ac.in/Jobs_Tenders/2NonTeaching/Default.aspx). Step-2: Fill the online application form complete in all respect and submit the same online. You can save before final submission to edit/review any field. No change is permissible after submission. Step-3: After submission of form, payment gateway will open for payment of fee if applicable (not applicable for SC/ST/PWD/Female candidates). Follow the instructions carefully for payment of fee. Without payment of fee, application will not be accepted / considered. Step-4: Take a print-out of the completed application form, paste a recent colour pass port size photograph, put signature at specified spaces and preserve safely. Shortlisted candidates will be required to submit the same while reporting for selection test. Management Trainee (General): - Essential Qualification: Degree with 1st class Master of Business Administration, Specialization in Personnel Management or Human Resource or Industrial Relation or Marketing Management or Supply Chain Management from recognized University / Institutions. Institute of Cost & Works Accountants of India OR Pass in Associate Company Secretary from recognized institution. Accountant: - Essential Qualification – B.Com or BA (Commerce) or Chartered Accountant or Costs and Works Accountants or SAS Accountants of the Indian Audit and Accounts Department with about three years experience in maintaining and auditing of Accounts in Industrial / Commercial/ Departmental Undertakings. Jr. Technical Assistant: - Essential Qualification: Degree in Agriculture or a degree with Zoology, Chemistry or Bio-Chemistry as one of the subjects. 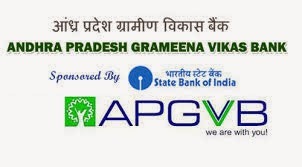 Gen / OBC Applicants shall submit their application along with a Demand Draft for ` 300/- (Rupees Three Hundred only) drawn in favour of “All India Management Association”, payable at New Delhi (Cheque/IPO shall not be accepted). No Fee for SC/ST/PH candidates. On All India basis through Objective type written test on respective subjects and aptitude of the standard of the educational qualification prescribed for each post followed by Personal Interview. On qualifying the Written Test and Interview, selected candidates for post code nos. 01, 02 will be appointed as Management Trainees” in their respective fields. The selected Accountants and JTAs under Post Code No. 03 & 04 will be appointed in the Pay Scale of ` 16400-40500 (IDA) and ` 10500-28690 (IDA) respectively. The selected Assistant Engineers under Post Code No. 05 will be appointed in the Pay Scale of ` 16400-40500 (IDA), and their seniority will be fixed in civil stream after amendment of recruitment rules. Applications should be submitted ‘ONLINE’ by logging on to https://jobapply.in/mrpsujob alongwith printout of application form having auto generated application number downloaded from website so as to reach AIMA on or before the last date prescribed. Applications will not be accepted through any other mode. Qualification and Experience : PG with minimum 50% in RD/Economics/MBA/MSW/ and 5 years of post qualification experience in the relevant field i.e. microfinance, income generation etc. How To Apply : Eligible candidate have to apply online. Walk In Interview : 06/01/2014 From 09:30 onward at Khetri Copper Complex , Human Resource Development Centre. same duly attested. Candidates are advised to send the duly filled in application along with a set of photo copies of certificates by 30.12.2013 positively. Minimum and Essential Qualification: See detailed advertisement. PROBATION PERIOD: Selected candidates will be on probation for Officers- Two years. & For Office Assistant (Multipurpose) One Year. ELIGIBILITY CRITERIA: Eligibility Criteria is to be considered as per RRBs CWE-II Advertisement published in Employment News/Rozgar Samachar Issue Dated 6th July – 12th July, 2013 released by IBPS and posted on the IBPS’s website www.ibps.in. How To Apply : . The aspiring applicants satisfying the eligibility criteria in all respect can submit their ONLINE application. The On-line application(s) will be available on AIIMS, PATNA website w.e.f 01.12.2013 10.00 A.M. to 31.12.2013 5:00 P.M. No documents including the printed / hard copy of on-line application are required to be sent by post. However, all the applicants are advised to keep one printed / hard copy of their application till the time of Interview. 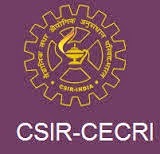 Scientist (I) : 1st class Degree in Mining/ Civil/Mech. Engg/1st Class M.Sc in Geophysics. Scientist (II) : 1st Class Degree in Mining/ Civil/ Mech.Engg/1st class M.Sc in Geophysics with six years experience. Scientist (III) : 1st Class Degree in Mining/ Civil Engg/1st class M.Sc in Geology/Geophysics (or) M.Tech/. ME/ Ph.D with original work as evidenced by patents/publications with about 10 years of R & D experience. 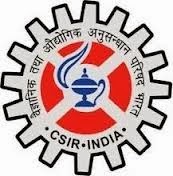 Scientist (IV) :1st Class Degree in Mining/ Civil Engg. or M.Sc (Geophysics/Engg. Geology) with 12 years experience or M.Tech/ME/ Ph.D with original work as evidenced by patents publications and with 12 years of R & D experience. Scientist (V) :(1) 1st Class BE in Mining/Civil Engineering /1st Class M.Sc. in Applied Geophysics/Applied Geology with Post Graduate qualifications in Rock Mechanics. (2) 15 years of experience in Research/Teaching/Industry with original work in Rock Mechanics as evidenced by patents/publications. Interested candidates may apply by downloading the application form from the link appearing at the footnote (right click & save). 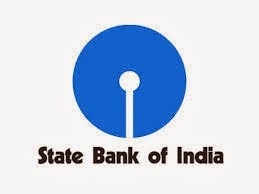 The requisite application fee in the form of DD for Rs.200/- for the posts 1 to 6 and Rs.100/- for the post at Sl.No.7 favouring “ National Institute of Rock Mechanics” payable on State Bank of India (Dooravaninagar Branch) / State Bank of Mysore (KGF Branch) / Corporation Bank (Andersonpet Branch) / Canara Bank/Syndicate Bank/ Karur Vysya Bank, Robertsonpet/KGF should be enclosed along with the application form. SC/ST applicants are exempt from payment of application fee. Those who are employed in the Government Sector/ Organisations should route their application through their concerned employer. However, advance copies of their application may be sent. The completed forms with copies of testimonials should be sent by registered post addressed to the Registrar at the above address so as to reach us on or before December 31, 2013. Please super-scribe the cover “Application against Advt/01/2013-14” as the case may be. For further details on our activities, please surf this website. Assistant Resident Engineer (ARE) OHE : 1st class Graduate Degree in Electrical engineering from a recognized University/ Institute. Material Engineer (Elect.) : 1st class Graduate Degree in Electrical engineering from a recognized University/Institute. Assistant Resident Engineer (ARE) Quality Elect. Traction : 1st class Graduate Degree in Electrical engineering from a recognized University/Institute. 1. Interested candidates fulfilling the above laid down eligibility criteria are required to apply online in the registration format available in the Career Section of the RITES website, http://www.rites.com on or before 1700 hrs. of 06.01.2014 from the date publication. Educational Qualification : Graduate of a recognized University with Degree or Diploma in Library Science from a recognized Institute. Desirable Qualification : One Year's experience in Library Work. Mode of Selection: Candidates fulfilling the minimum prescribed qualifications will be shortlisted on the basis of their educational qualifications, academic records, percentage of marks etc. or through a screening test at the discretion of the Commission. Candidates, thus, selected may be required to undergo a written proficiency test wherever applicable/required or considered necessary by the Commission at its discretion. The Commission holds discretion to fix different qualifying standard for different categories in the proficiency test wherever applicable. Candidates qualified on the basis of merit of proficiency test if any held, would be required to appear at the interview. 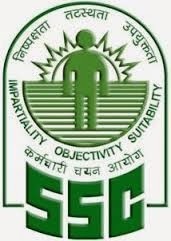 Final select list would be prepared in order of merit as disclosed by the aggregate marks(marks of Proficiency Test wherever applicable and interview) finally awarded to each candidate taking into account the number of vacancies advertised and in that order so many candidates as are found suitable by the Commission would be recommended. Note(1): Applications submitted on a format which is not exactly the same as published in the notice are liable to reject summarily. Note(2): The Commission may consider conducting the Screening Test or Proficiency test for the said post(s) on the same date or different date(s), at its discretion.